A family run business that has been part of the community for well over 15 years. Established in Brighton Le Sands in 1997 by my father Gary Macris, I have learnt so much over the years and now have the opportunity to share this with all my staff, aiming to provide our locals with a fun and pleasurable lunch or dinner experience. We’ll leave the entertaining up to the customers. Catering orders can be pre-organised for large groups - 10-200 people. View our catering guide or call Opah on 9544 3133 to discuss further. “OPAH”, is an expression of feeling and intense emotion. Imagine Greek men listening to a bouzouki (Greek Guitar) at the height of the set whilst they dance around each other, arms in the air. Passion and angst can be felt in the crowd, then one man shouts at the top of his lungs “OPAH” as another man spins and jumps to the music that is playing, people smash plates and the excitement lifts. Back then, my great grandfather George Macris established his first local food take away convenience store in Greece. From here his son, my Papou, learnt the trade as a young child. Dealing with the locals, the produce, the cooking and the passion. Eventually as time went on my Papou, also George Macris, migrated to Australia. My Papou George opened his first diner in Riverwood Sydney at an early age and from here my father Gary learnt the ropes. Gary worked after school and on weekends with his father to establish and providing home cooked Greek style food to the community. After years in another industry my father Gary Macris realised something was missing in his life. He loved food and he loved cooking. Returning to his roots, he took a leap of faith and established the concept of “Greek Yum-Cha” in his first restaurant “Enigma 88” at Brighton Le-Sands in 1997. While in this smaller restaurant, Gary developed his cooking style and developed modern and creative ways of presenting traditional Greek cuisine. With the help of family and friends, Gary’s concept took shape and before long Enigma 88 was buzzing and “Greek Yum-Cha” had become the talk of the town. Eight years later, and with much experience under his belt, Gary opened OPAH Cronulla with me, Matthew and again created a thriving, innovative restaurant in the heart of Cronulla. 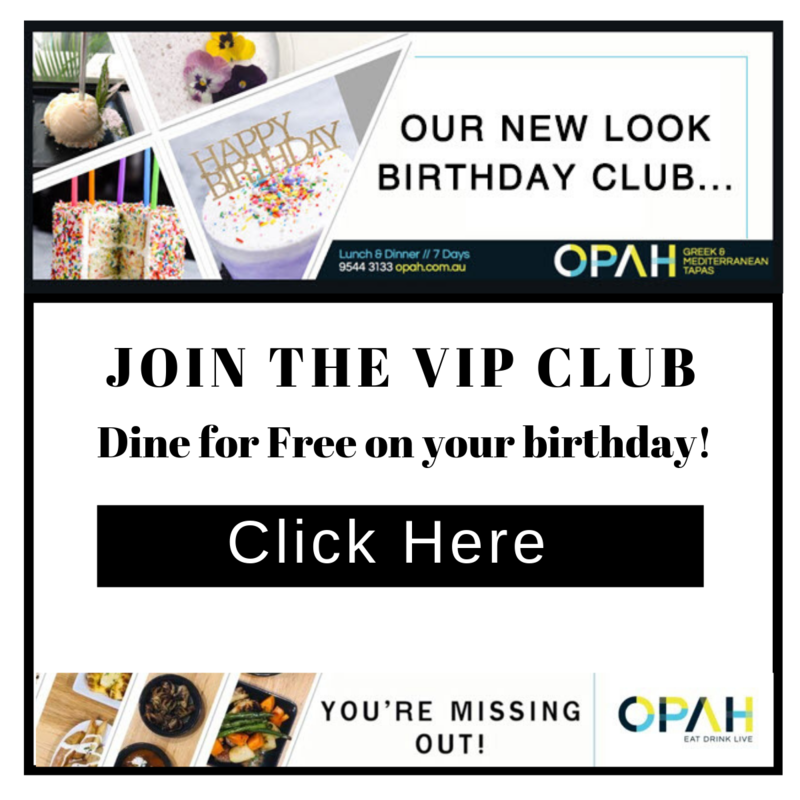 Today, OPAH has been established in Cronulla since 2004 operating for a number of years with great success. Now with a team of highly motivated staff, we continue to redevelop and build the Opah brand. We are passionate about service, experiences, good food and fun times.